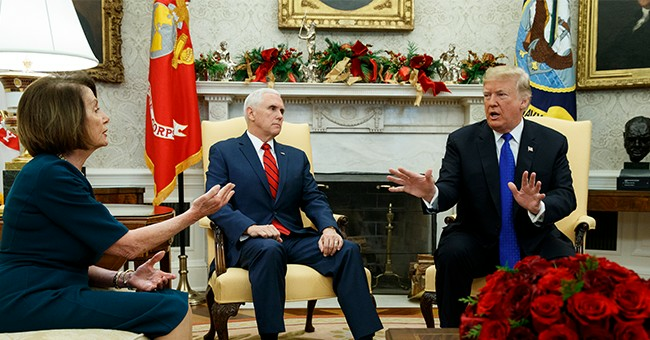 Vice President Mike Pence said the president is “undeterred” by Democratic obstruction over his demand for border wall funding. “Even as we face a crisis on our southern border, and as 800,000 federal workers go without paychecks, Democrats in Congress have been unwilling to seriously discuss even partial wall funding. President Trump and our administration will not be deterred by the Democrats' obstruction. The American people want to see action, and we intend to deliver,” he wrote in a USA Today op-ed. But none of that has been enough for Democrats who won’t even come to the table to negotiate—a fact Pence wants the American people to know as we are now in the longest government shutdown in U.S. history. Like President Trump in his address to the American people last week, Pence brought up the harm illegal immigration does to not only the U.S. through drugs, crime, and violence, but to the migrants themselves, many of whom report being the victims of violence during the journey.